You can watch this video recipe here. Surely you've had a French croissant at some point in your life, but have you ever had an Italian croissant? 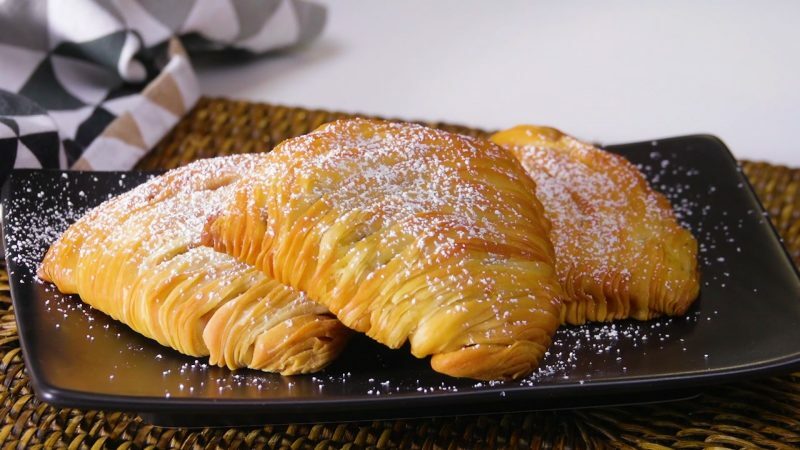 A sfogliatella, which means "small, thin layer" in Italian, is similar to its sister pastry, but you'll absolutely love the filling and fresh, flaky taste of this delicacy! 1. 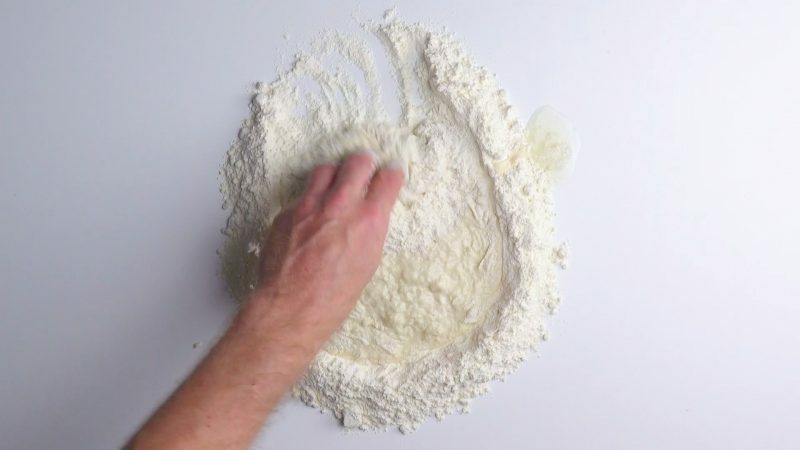 Pour the flour on your work surface in the shape of a circle. Make an indent in the middle, pour in the water, and then add the salt and honey. Make a smooth dough from the ingredients and shape this into a ball. Wrap the dough ball in plastic wrap and put it in the fridge for 3 hours. 2. 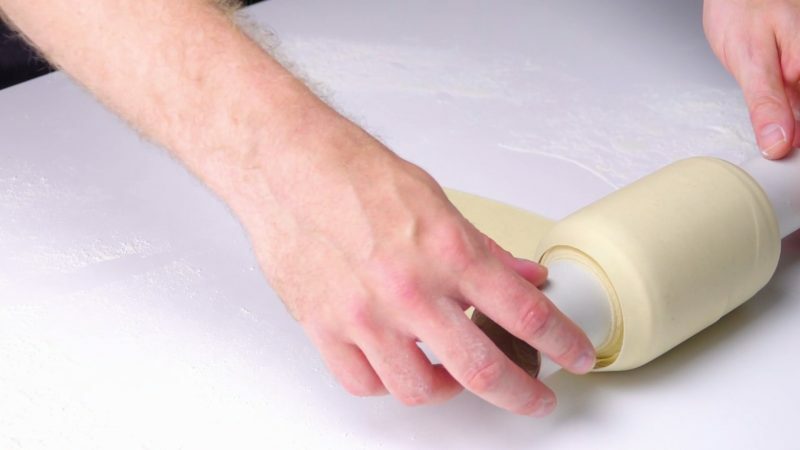 Flour your work surface again and thinly roll the dough out into a small oval. Roll it up on a cardboard paper towel roll afterwards and place back in the fridge. 3. 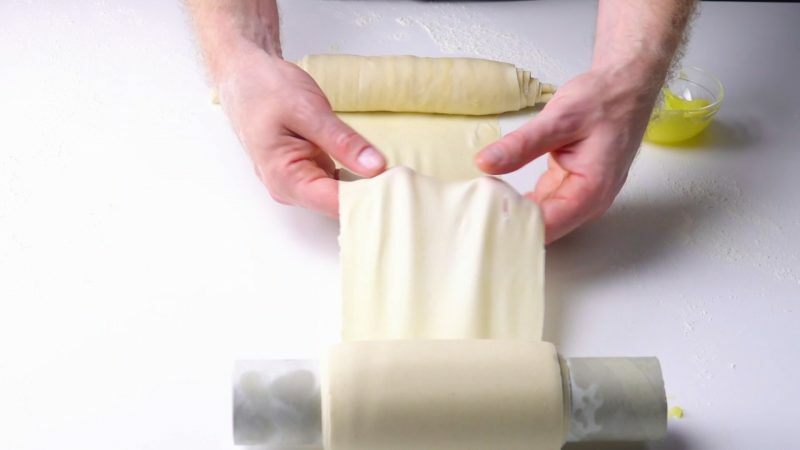 Carefully unroll the dough from the paper towel roll, stretch it a bit with your hands, and evenly coat it with clarified butter. Then roll it back up towards the cardboard so the butter gets nicely distributed. Repeat the process of unwinding, brushing, and rewinding two more times, each time making it a bit wider. Finally, cut off the side edges and refrigerate the rolled-up dough for 24 hours. 4. For the filling, bring the water to a boil and salt it. Add the semolina, stir for 5 minutes with a whisk, and then let the cooked semolina completely cool. Put the chilled semolina into a bowl and stir in the ricotta, egg, sugar, and vanilla extract. 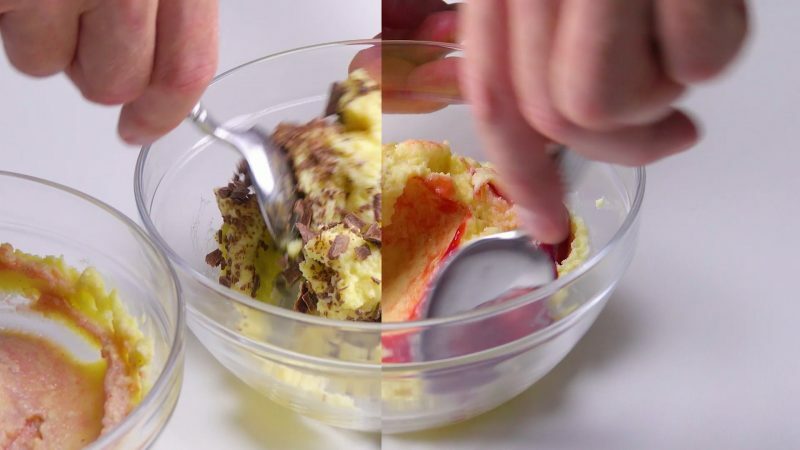 Divide the semolina-ricotta mixture into two portions: mix one with the red jam and the other with the chocolate. 5. Cut off about ½ inch wide slices from the cooled dough roll. Flatten each slice and shape it into a kind of small bowl which you then stuff with the filling. 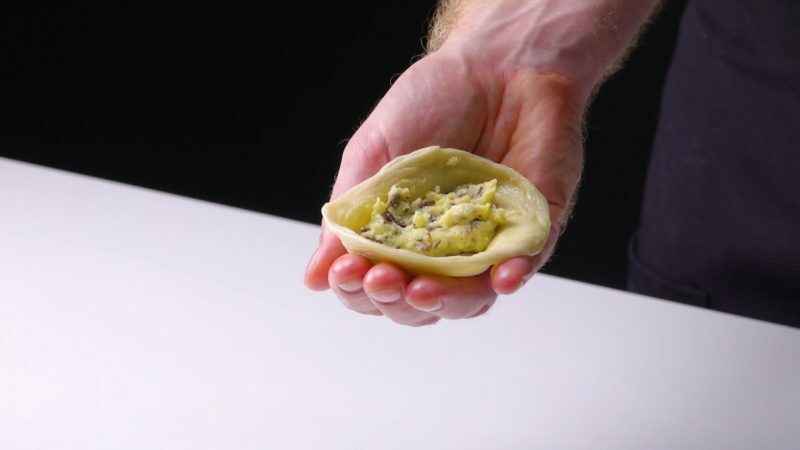 Now flip one side over the other and close the dough in a shell-like shape. 6. Place the sfogliatelle on a baking sheet lined with parchment paper and bake in a preheated oven for 30 minutes at 355°F. Before serving, sprinkle the pastry with some powdered sugar. You'll have to be a little patient to make these pastries yourself, but the end result is so worth it! You can find the recipe for the Cruffins featured in the bonus video here.